Yippies was a term that was first coined by Paul Krassner, a writer for the New York Times, and was meant to signify the "radicalization of hippies". 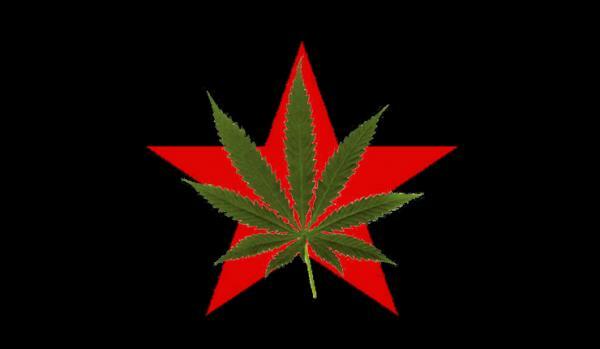 The term was taken into account and shortly used by Anita Hoffman, a yippie activist, to create an official name for the group. The Youth International Party was the chosen name for this group because it would play well off the term "Yippy". What were their ideas and goals? The "New Nation" Concept was a Yippie idea that the new amount of social power that was endowed upon the day's youth could lead to a new system for everything in America. One suggestion of the idea was to create a set of underground newspapers rather than mainstream publications. The irony in this is that their official name was adapted from a nickname they were given by The New York Times which is one of the most mainstream newspapers in the United States. 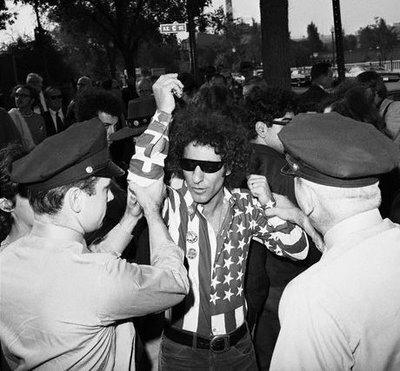 Abbie Hoffman, one of the founders of the Yippies, wrote a book on everything radical. The book contained instructions on how to make a pirate radio station, how to steal food, and even how to properly live in a commune. His book became somewhat of a manifesto for the Yippies, and it's provocative title suggests entirely what the book will tell you about. 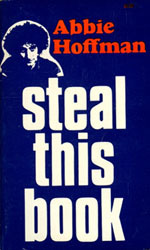 The book's commercial came as somewhat of a disappointment for Hoffman and he was quoted saying that "It's embarrassing when you try to overthrow the government and you wind up on the Best Seller's List." The book was obviously read by quite a few people, but it's commercial success would suggest that the message was lost on many of the readers. One of the political acts invented by the yippies was pie-throwing. Tom Forcade was the first to carry out a political pie-throwing when he pied a member fo the President's Commision of Obscenity and Pornagraphy in 1970. The best know pie-thrower, Aron Kay, was known as "The Pieman" . 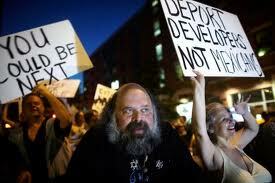 There is one particularly interesting website bout the Pieman and about the counter culture yippies in general. Are you still confused about the difference between Hippies and Yippies? Well then go watch this Ask Steve video!